Passionate about crafts, Julie ventured into the most niche of niches and now offers a bespoke restoration service for teddy bears up to a century old. Julie Thatchell has always had a passion for traditional, handcrafted items made with skills that are fast dying out. 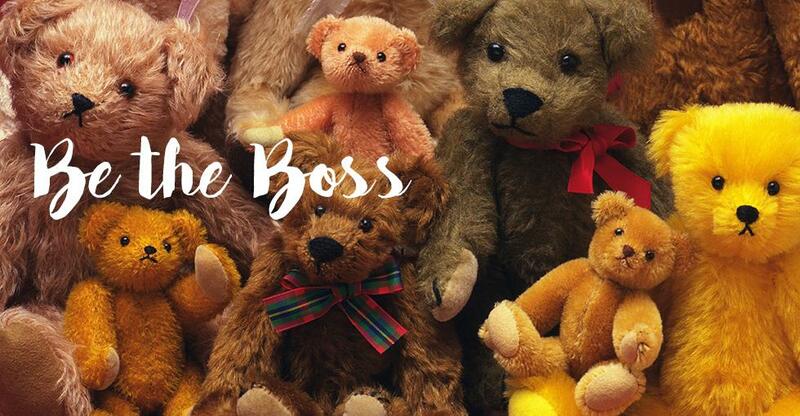 So, when the opportunity arose to start her own business in 2006, teddy bears became her “object of choice” and Bear It In Mind was born. We spoke to Julie about her restoration and repair business. I was brought up in and around the New Forest. I trained as a hotel receptionist and worked in several hotels in nearby Bournemouth before I got married. I also lived in America for a couple of years. I have an extremely patient husband, four children and two grandchildren; two dogs, a cat and a tortoise. My downtime always includes forest walks, weekends away, theatre and time spent with family. Why did you start Bear It In Mind? I’ve always had a passion for handcrafted and traditionally made items, particularly those things where the skill is dying [out] or not realised anymore. When the opportunity arose for me to start my own business, I wanted to create an environment whereby visitors could learn about the time, effort and skill involved in making the product they were going to purchase. Teddy bears became my objects of choice and I started Bear It In Mind in 2006 from a shop and studio premises in Beaulieu. It wasn’t long before we were being asked if we could repair bears as well as make them. The studio where we offered workshops, craft sessions and demonstrations was soon taken over by patients in need of attention and the direction of the business changed. We now concentrate solely on the repair and restoration of teddy bears and other soft-bodied toys old and new. What’s it like working from home ? I love it. The business has been running from my home studio for two years now and working from home has plenty of benefits. There are two of us working on the patients – my colleague Amanda and I – and my husband keeps the accounting side of things in order. Working from the studio means we can stay focused on our work without the interruptions that come from trading on a high street. It can, on the other hand, make you feel a bit isolated – especially in a unique business such as ours. Discipline is a necessary requirement when working from home. Family life is very important to us and therefore, at the end of the working day, we close the door to the studio and it stays closed until the following morning. What bespoke services do you offer? I think it’s safe to say that Bear It In Mind offers nothing but a bespoke service. No two patients require the same treatment and all our assessments include a full consultation with the owner before any work is started. We deal with bears as old as 100 years right up to the present day. We need to have awareness of the historical details of our patients to conduct the correct repair. Teddy bears are made using a huge variety of materials, from their fabric bodies to their jointing, eyes and even stuffing. On occasion we’re asked to make a new teddy bear. We have our own design called Bartie Bristle and he’s always five-way jointed.We usually make him from mohair or alpaca fur fabrics in our customer’s choice of colour and size. These are collectable items requested for occasions such as births and other celebrations. We also make Bartie Bristle bears from vintage fur coats. These are a popular way of turning an heirloom into something to be treasured. How challenging has it been operating in this highly unusual niche? Becoming a respected teddy bear restoration business has had, and still does have, some challenges. It was always clear that the business was needed by the customer and we had to find a way to make it ‘professional’. Shaking off the image of little old ladies sewing in their front room has been one such challenge; being taken seriously, another. With many customers afraid to hand over their precious possession to strangers, making ourselves accessible has been something we needed to work on. This was the reason for our ‘pop-up’ clinics and we’ve received very positive responses for these. Persuading people of the importance of restoration can be a bit of a challenge. Some customers, for example, are very keen to have damage caused by a dog repaired, but explaining the importance of maintaining a seemingly healthy bear does sometimes become difficult. Teddy bears are a relatively new antique and, being made to play with, require sensitive care in their retirement. Replacement eyes, claw stitching and sounds are all ideal things to be replaced but they are really just cosmetic. Cleaning, attention to stuffing, eradication and awareness of the damage caused by moth larvae or carpet beetle, as well as general attention to the condition of aging fabrics, are essential. In the same way one would never acquire a vintage car only to park it on the drive and never touch it, we have a responsibility to keep those bears made during a time before mass, overseas production in the best condition possible before they become nothing but pictures in a book. What words of advice would you give to other aspiring small - business owners? I think the best advice I could give would be to love what you do and follow your instincts.